Exporter of a wide range of products which include sungreen precise evaporative cooling system, sungreen control panel cooling, sungreen industrial air conditioning systems, dust suppression system, sun green pressurization systems and sun green server cooling. Turbo Cool is our revolutionary Precise Evaporative cooling solution from SunGreen that utilizes sustainable technology to provide you cool conditions economically and without using harmful or costly refrigerants. It is a 100% fresh air system. It is also custom designed to suit your requirements. Useful in industrial air conditioning, it contains the muticycle lateral dry fog AHU unit, which is the only one of its kind in the world. TurboCool is a muticycle dry fog evaporative cooling system, which uses fraction of energy of normal air conditioning systems. Depending various conditions including the geographical location of the building, turbo cool can totally substitute normal air conditioning systems. No more dry, recycled and stale air in your building. SunGreen Control Panel Cooling are very crucial factor in data center and panel cooling to achieve optimum results. The airflow pattern plays a vital role in achieving these results since the thermal transfers are to be considered at source.At SunGreen, we have options to cool data centers / control panels either with conventional air conditioning or with Precise evaporative Cooling (PEC). We recommend PEC at geographical locations where evaporative cooling is suitable and effective. With our expertise, our systems are designed to perfection to achieve upto 90% savings in operation costs. The initial investments are also very low in comparison to conventional air conditioning.We at SunGreen were one of the very first companies if not the first to design a PEC for cooling an electrical control panel about a decade ago. Our system was designed in the most efficient manner by providing a cold isle and maintaining an airflow pattern in such a way that the cool air supplied acted directly in providing the required heat transfer and was thus exhausted out of the space with energy efficient TurboVENTS India’s first wind driven ventilator, This way tremendous energy savings were achieved. Reduce your energy Costs, Reduce your carbon Foot Prints with our precise engineered Solutions. 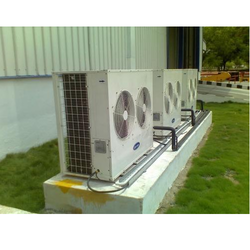 SunGreen Industrial Air Conditioning are pioneers in the field of energy efficient ventilation solutions in India. Our range includes Industrial air technology precisely designed to meet the IAQ (Indoor air quality) requirements. 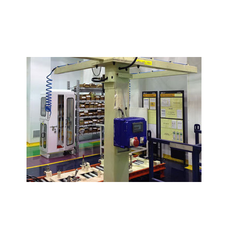 productive indoor industrial environments in premises and occupied enclosures for both human comfort and production process requirements. Other air technologies including air purification, drying, pneumatic conveying is part of the above terminology. 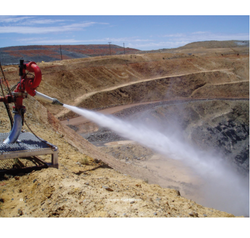 Our SunGreen Dust Suppression Systems are custom designed to your application requirements to maintain the required pressure ( Negative / Positive ) for control of air as well as contaminants from a given place to another. We precisely design for various applications including Hospital ventilation systems, Food Industry Ventilation Systems, Pharmaceutical Industry Ventilation Systems etc. SunGreen Pressurisation Systems offered can be made available by us in different finish configuration options and comprises storage tank, working station and other dependable installation parts. Some of its working features include support of common tubes or three-high tubes; steel plate based outer tank in standard thickness; food grade stainless steel based inner tank; choice of different tank capacity and pressure bearing of 0.6 bar; support of suitable insulation layer; intelligent control and automatic operations. Sun Green Server Cooling offered can be made available by us in different design configurations and provides for superior energy efficiency. 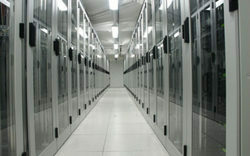 Further, the lightweight designing of the server cooling support also assure of easy transportation and installation. Some of its features include provide for reliable cooling solution; easy to install and maintain; low noise based operations; offers long service life and low maintenance; comes in standard rated voltage; option of different cooling capacities; working temperature of -20℃ to 55℃. 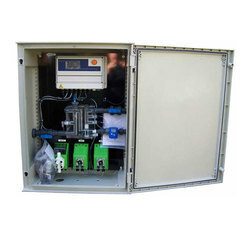 We are able to gain immense expertise in offering an unparalleled range of SunGreen Electrical Charger Cooling. These products offered by us are manufactured utilizing superior grade raw material and advanced machinery in conformation with the international quality norms and standards. Along with this, the offered range is ideally utilized to generate high velocity air over a long distance thereby cooling the bodies of workers.